CEO & President Aunigma provides next generation network security and connectivity. Founder Digital nGenuity provides a complete suite of network management services across all ecosystems. Chairman, President & CEO A software and service led solutions company with advanced networking technology solutions and platforms. President, CEO & Director F5 Networks helps organizations seamlessly scale cloud, data center, and software-defined networking deployments to successfully deliver applications to anyone, anywhere, and at any time. CEO gen-E enables clients to dramatically reduce costs, improve efficiency and deliver higher quality service by providing greater insights, control and optimization of their operational systems. CEO & Founder KKodaCloud Inc. provides Wi-Fi as a cloud-powered subscription service for network monitoring and troubleshooting using artificial intelligence and Big Data infrastructure. President & CEO Medallion Communications Incorporated–(MCL) is the product of structured collaboration between technocrats with versatile exposures and competences in the telecommunication industry. President Cinch IT provides business computer support, general IT support, web design and more to businesses in Worcester, MA. CEO CPQi is leading provider of capital markets technology services in the Americas. GLOBAL CEO CreativeDrive is a global, independent creative and content creation company offering graphic design services; packaging design; providing graphic and multimedia design services for the purpose of promoting the goods and services of others; providing online non-downloadable software for marketing professionals, artists and designers to effectively manage their internal efforts in providing advertising, marketing and promotion services. CEO CYBERGYM is a global cybersecurity leader, providing organizations with the training, knowledge and tools required to defend their critical systems, infrastructures, utilities and sensitive data against complex, ever-evolving cyberthreats. CEO & Founder Intrensic is the most advanced video capture platform for Law Enforcement. CEO NuCompass offers a full range of US and global mobility services and our award-winning CoPilot technology to increase productivity, reduce costs, and enhance the relocation experience. Founder, President & CEO Pioneer Technologies provides consulting and IT services for delivering independent, practical, value-priced advice and services to our chosen market sectors. Owner / President R2 Consulting, LLC, leading innovator in PPM solutions, training, and speaking. World leader in CA PPM solutions and PMO implementation. 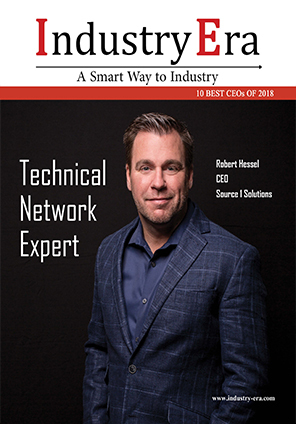 CEO Source 1 Solutions is an industry-leading global IT service provider with a technical network spanning across 90+ countries that specializes in supply chain management, unified communications, data networking, WiFi + data centers, electronic security, and network security solutions. CEO & Director ZIRCA is a global digital solutions company that provides state-of-the-art digital advertising and content solutions to brands. Managing Director 5G Networks provides the end-to-end control, responsiveness and upload and download speeds necessary to fully capture the value of cloud-based computing systems. Chairman & Co-CEO AppDirect	Connects channels, developers, and customers through its platform to simplify the digital supply chain by enabling the onboarding and sale of products with third-party services, for any channel, on any device, with support. Founder CloudFX Provides cloud solutions which helps both enterprise cloud customers and IT-Service Providers, enabling them to successfully accelerate cloud adoption and transformation. Chairman FirstWave provides burgeoning cloud security services market and has delivered managed SaaS security solutions since 2004. Group Chairman GOIP	provides professional Elastic Compute Cloud platform, covering cloud servers, cloud storage and other IaaS layer of foundation business services. 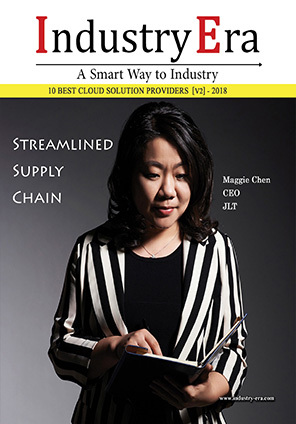 CEO SinoServices International Technologies (SinoServices) helps customers around the world optimize their supply chain by providing expert advices and information technologies. CEO Netlims provides Laboratory Information Systems (LIS), serving hundreds of hospitals and laboratories worldwide. CEO Provides reliable and comprehensive cloud services that empower businesses to innovate and stay ahead of the competition. CEO Accelerates different businesses with the leading global cloud communications solution. Director Startus Cloud Ltd is the Cloud Services arm of Platform Plus Limited, a social enterprise (registered charity) within the Community Living group. CEO B&L Information Systems is a global leader in providing integrated enterprise resource planning (ERP) software for metalcasters. CEO BrightLeaf provides software and services open new doors for companies to manage risk, ensure regulatory compliance, recover revenue, avoid penalties, and meet customer obligations. President & Dir of Product Development FocusWorks provides automated tools for batch control, lot tracking, and food safety are essential to the success of bakeries and food processing plants. 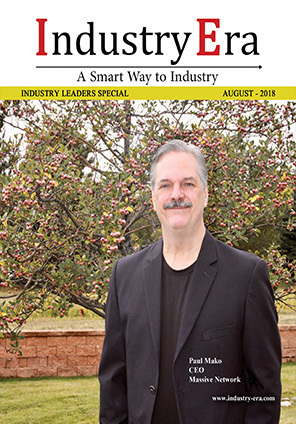 Managing Director Infigo Software offers print and marketing engagement solutions, including web-to-print, web-to-carton, web-to-label, web-to-flexo, and e-commerce. Co-author & CEO Interactive Legal provides the most comprehensive productivity system on the market with an easy-to-use document drafting system, extensive continuing education, thought-provoking discussion forums and more. 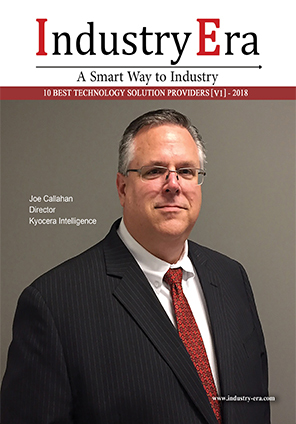 Director Kyocera Intelligence-Proactive Managed Service Provider serving thousands of businesses from start-ups to Fortune 1000 companies nationwide. Chairman & CEO Pike provides construction, repair and engineering services for distribution and transmission powerlines and substations, with a growing portfolio of turnkey and renewable projects. Co-Founder Samco Software offers a range of hardware and software solutions, including hosted accounting, ecommerce, cloud, backup, email and security systems. Principal/President Seisan is a market leader in providing custom mobile and location based application solutions. VP BD CarteNav is a leading supplier of mission system software that enhances situational awareness and improves mission effectiveness in airborne, land-based, and maritime platforms. Founder & CTO Cavisson is a leading provider of performance testing, monitoring and diagnostics software to improve quality, performance and availability of enterprise applications. CEO Flagship is the largest tissue image analysis provider for the pharma industry, specializing in quantitative tissue interpretation for immuno-oncology drug development. President & CEO Layer 3 Communications is a Professional Services organization that provides: Consulting, Network Audits, Network Analysis, Network Design, Network Security, Project Management, Staging and Implementation, Installation, Time and Materials, and Support Planning. Managing Director Pio-Tech is a System Integrator and Business Solutions Provider with a commitment to perpetual innovative performance powered by strategic alliances with distinguished business partners and internal skillful & visionary team of consultants dedicated to enriching our customers with bright Ideas for enterprise management solutions. EVP & Chief Scientific Officer PRA Health Sciences, Inc., a contract research organization, provides outsourced clinical development services to the biotechnology and pharmaceutical industries worldwide. CEO & President ProStar is an industry leader in providing GPS centric, cloud & mobile solutions to significantly improve utility asset management & damage prevention practices. CEO & Founder QACube helps drive competitive advantage with predictive QA visual analytics and dashboards across popular ALM/software testing tools. CEO & Founder SenecaGlobal provides expert IT outsourcing, IT advisory and IT support through our global SmartSourcing approach. CEO & Founder TMP offers full service eCommerce solutions, branded and licensed merchandise development, turnkey catalog programs and marketing support to corporate, sport, and non-profit brands. Consulting Quest provides companies create value through management consulting fot creating and helping communities of leaders, consultants and clients. Founder Katharoslabs a software development boutique specializing in product concept & definition, design & strategy and development & integration. CEO Pointcube provides oneshot 3d, photolive 3d and mobile app and have been creating and developing 3D business software since 2004. CEO Purple Communications provides innovative communication services to meet the unique needs of each deaf and hard-of-hearing individual. President & CEO SPI Global delivers an effective data intelligence experience with software and service that can improve workflow, engagement, and overall content design. 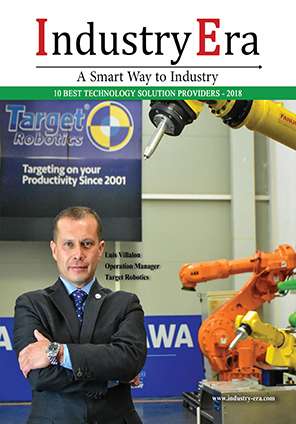 Operation Manager Target Robotics provides developing turnkey solutions from design engineering and simulation to the whole installation process, star-up and project management. VP of Sales Technology Training Associates provides certified jonas training, custom cash card and supplies hardware to be compatible with jonas software. CEO SmartIS provides business services, technology services, development services and cloud services. CEO WiTuners provides cost-effective software solution for the performance management of large scale Wi-Fi networks. Director WrightZone provides custom software development and consulting services employing the tried and true 4d methodology: define, design, develop, and deploy. Presedient & CEO Accumen is a leading industry expert, partnering with hospitals and health systems to create high performing labs that improve quality, reduce cost, and enhance patient care. Co-Founder & CEO Altaro Software is a leading developer of Virtual Machine Backup and recovery solutions. Co-Founder, Director & CEO Bahwan Cybertek Pvt. Ltd. offers business process management suite (BPMS), and BPM/SOA based products and solution frameworks for BFS, government, oil and gas, high tech, manufacturing, real estate, banking, and financial services business domains globally. CTO BLUE Software is the leading provider of Label and Artwork Management solutions for marketing, consumer brands, retail, and life sciences companies. CEO CITIC Telecom CPC offers a comprehensive range of managed business solutions that encompass all major ICT disciplines. President & CEO Iron Bow Technologies is a leading IT solution provider dedicated to successfully transforming technology investments into business capabilities for government, commercial and healthcare clients. 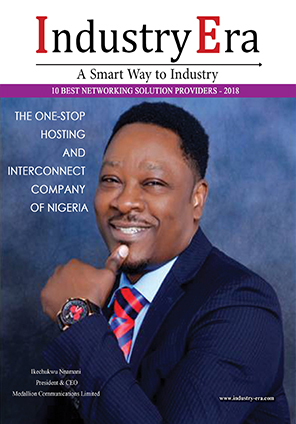 CEO Massive Networks provides one pipe multi-connect solution, premium-blended-internet-connect, megalan-gigalan-connect, cloud-exchange-connect, data-center-direct-connect, private-network-transport, voip-connect, saas-connect, peering-exchange-connect and cloud-backup-service. Founder & CEO MeetingOne is a world-wide communication solution provider for conference calls, virtual classrooms, webinars, and online meeting products and services. CEO RANDA was built on the thesis of “lightbulb” moments–opportunities for software and local Subject-Matter-Expertise (SME) to come together to create brilliant new solutions. CEO SysAid Technologies Ltd provides IT service management (ITSM) solutions aligned with industry practices, to help customers through automated business processes. 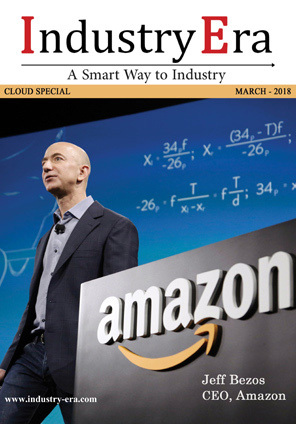 CEO Amazon provides hands-on experience with the aws platform, products, and services. CEO Approyo provides cloud and sap technology solution, and they are driving towards a vision to be most customer centric sap hana technology solution company. Founder, CEO Datometry® Hyper-Q™ provides database virtualization platform that makes databases and applications truly interoperable in real-time. CEO Eccentex provides software solution to integrate different components of digital infrastructure at every digital touch point. CEO Google provides open tools to secure your data and hardware, gain real-time insights, and be more productive with the same intelligent. CEO MoxiWorks provides the moxi cloud open platform which includes to choose whichever tools to work together and change them whenever, no pain involved. CTO PAR provides its restaurant and retail customers with technology to improve internal operations enhancing the customer experience and better manage information. COO Secucloud GmbH provides a high-availability cyber-security solutions, offering a cloud-based security-as-a-service platform particularly for providers. CEO Solver provides BI360, the CPM software for companies of all sizes and specialized in financial reporting, budgeting and analysis with push-button access to all data sources. CEO Synaptek Corporation provides it and other technical services to federal government agencies as a prime contractor through system integration partners. President Terminal is a Microsoft Certified Gold Partner, Datto Elite Partner, Cisco-Certified Small Business Specialist, OpenDNS, and Monnit partner, and an authorized warranty repair center for HP, Lenovo, and Brother. COO & CIO Yooz provides a cloud based accounts payable automation service and yooz is a part of itesoft-yooz group. MD & CEO Aponia Data Solutions provides cognitive integrated risk management solution to help companies automatically assess and predict risk across the organization. MD Bodhtree provides a full-range of implementation services for marketo, including strategy, integration, campaign execution, and custom development. Founder, CEO & Chairman of the Board Domo provides industry solutions help you overcome challenges specific to your organization—whether that’s peaking COGS, plummeting CTRs or anything else in between. Co-Founder FORMCEPT is your analysis partner that can make “Dark Data” extinct and reduce the span of your entire analysis life-cycle by turbo-charging your existing data infrastructure. CEO KSM provides data assessments, data planning, business intelligence, data science, predictive analytics, and more. KSMC uses data analytics to transform information into insight. 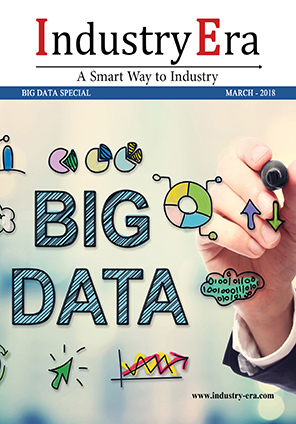 CEO & Co-Founder Paxata is the pioneer in intelligently empowering all business consumers to transform raw data into ready information, instantly and automatically, with an intelligent, self-service data preparation application built on a scalable, enterprise-grade platform powered by machine learning. President & CEO Racepoint Global provides an integrated marketing and pr agency. CEO Sisense provides agile bi for everyone, which simplifies every step of the analytics process – from data preparation to discovery of insights. President & CEO Splunk provides cloud, enterprise, enterprise security, it service intelligence, universal forwarder, apps & add-ons. Co-Founder & CEO ThoughtSpot provides ai-driven analytics for humans. Anyone can use search to analyze company data in seconds and get automated insights in a single click. 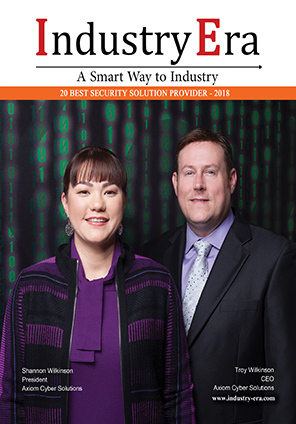 CEO Axiom Cyber Solutions provides innovative cybersecurity solutions, develop automated and intelligent that are affordable, attainable, and accessible to all businesses, regardless of size. President & CEO Booz Allen Hamilton provides opportunity by investing in cybersecurity, analytics, digital solutions, engineering and science, and consulting. CEO Code Dx provides appsec testing cycle which will dramatically reduce your testing time, letting you get your product into your customers’ hands under budget and on schedule. CEO CodeSealerprovides safeguard to all type of devices of web application, covering normal web pages and also apps built using html and web view. Chairman & CEO CyberArk Software provides protection to enterprise from the ever-expanding attack surface by locking down privileged access: on-premises, in the cloud or in hybrid environments. President & CEO Digital Guardian provides cloud-based, advanced analytics and reporting solution that delivers threat aware data protection. CEO FireEye provides enterprise security, managed security, threat intelligence, industry solutions, breach response, security assessment, security enhancement and security transformation. CEO Intelligent ID provides user monitoring software that secures organizations business assets by continuously monitoring and alerting management to suspect events taking place. CEO Kaspersky Lab provides integration into any network node: servers, hardware and software firewalls, internet gateways, utm hardware, mobile and service provider networks, as well as all kinds of data security software. Chairman & CEO Nanotech Security provides technologies harness the iridescent wings of the blue morpho butterfly for one of the world’s most sophisticated security, authentication, and brand identification features. 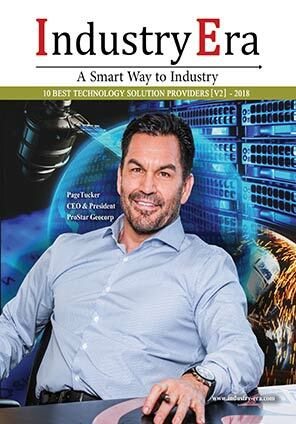 Co-founder, President, CEO, Chairman of the Board NETSCOUT provides cyber threat &ddos protection, packet brokers for security visibility, arbor global threat intelligence, arbor sp visibility & insight, hybrid ddos protection, network visibility &ddos managed services. CEO onShore security provides panoptic cyberdefense™ security operations center (soc) service, which is a cybersecurity professional service involving high-level consulting, monitoring, data collection, analysis, security management, and reporting. CEO PayServ provides login on any device and get real-time information inside a secure, single database by one complete application workforce thrive. President Pinkerton Consulting & Investigations provides risk advisory services, risk-based screening, security risk management, corporate investigations, protection services, threat response services and protective intelligence. CEO Raytheon Cyber provides a suite of security testing and assessment services, coupled with industry-leading expertise and a unique perspective on the cybersecurity landscape. Founder & CEO Seceon provides aisiem which is an open system that results to third party compliance/audit tracking systems. CEO & Founder Silent Breach is a cyber security agency that specializes in network security and digital asset protection. We help you protect your business and keep it safe. President & CEO Trianz provides secure business environment for data by deploying comprehensive, business-aligned security architectures enabled by people, processes, and technology that can minimize risks and lower costs. CEO Total Technology Solutions Group (TTSG) provides workflows with advanced print and document management services. CEO & Founder Allovue provides balance software platform that helps school districts create and plan budgets and monitor spending to make financial decisions. CEO Augusoft provides growth and efficiencies to continuing education, workforce development, corporate training and certificate programs in united states and canada. Chairman, CEO & President Blackboard provides technology and services to help students learn, not just one way, but their own way. President & CEO Edmentum provider online learning programs designed to drive student achievement for academic and career success. Chairman & MD Educomp Solutions provides revolutionized education ecosystem by creating and making the best use of digital products and online solutions. President & CEO Ellucian provides solutions and services that are tailor-made for higher education—boosting performance, reducing risk, and improving the user experience at colleges and universities around the world. Co-Founder, CEO Global Services in Education provides global experts in setting up and managing international schools and works in partnership with globally-minded clients who equally share a vision for achieving quality outcomes. CEO Learning library provides e-learning and education management solutions designed for k-12, universities, corporate or hr education requirements needs. CEO Ranosys provider help to education industry in delivering excellence in student services. CEO TE21, Inc. provides case benchmark assessments aligned to college and career ready standards/common core state standards (ccss). CEO Admera Health-the industry leader in personalized medicine & non-invasive cancer testing, using state of the art technology & unparalleled reporting. Co-Founder Athenahealth provides distractions that get in the way of care, with ehr, revenue cycle and population health services that improve clinical and financial results. CEO Cardiac Insight provides utilizing the most advanced algorithms and software that provide improvements in mean time to diagnosis and treatment. CEO Cotiviti Healthcare provides enhancing networks and achieving payment accuracy demands analytics, technology and deep-industry expertise. 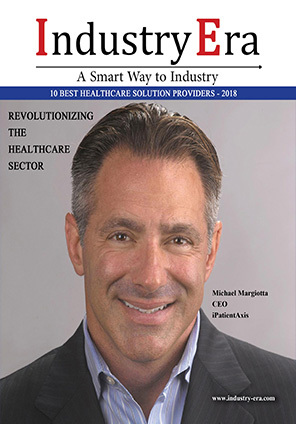 CEO & Co-Founder HBI Solutions inc provides actionable information that helps providers reduce patient health risks, improve care quality, and lower the cost of care. CEO iPatientAxis is the leader in patient identification and qualification services for the life science industry. President & CEO iRhythm provides digital healthcare redefining the way cardiac arrhythmias are clinically diagnosed by combining wearable biosensing technology with cloud-based data analytics and machine- learning capabilities. President & CEO Nurse Rosie Products is a medical devices company providing EMR-connected medical devices and vital signs. Founder, Executive Chairman, & Interim CEO Zephyr Health provides organizing and visualizing global health data to help customers connect their therapies to people in need.